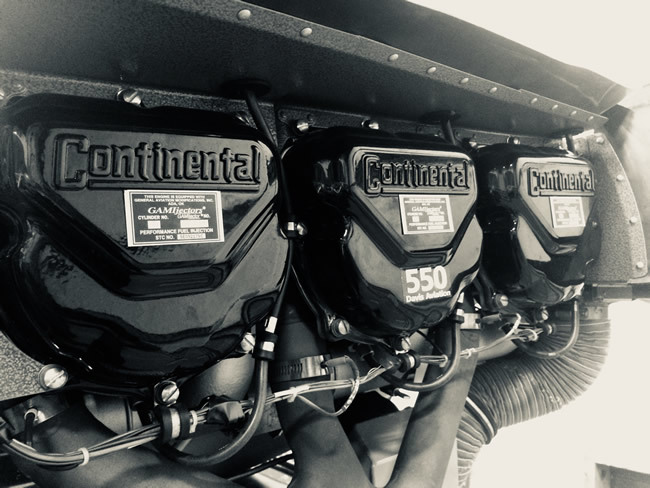 If the idea of 20% shorter takeoff and 8-10 knots increase in cruise speed at similar settings intrigues you, then consider the 550 conversion strongly, whether you’re about to change engines or not. The fuel burn penalty is minor but cannot be considered a penalty at all when you factor in the speed, not to mention extra available takeoff power and the fact that you can throttle it back if you like. 15% More Horsepower at Cruise. Quieter operation: the noise level at 2700 RPM is greatly reduced. 10-12 MPH additional cruise speed with the “Black Mac” or the “Top Prop”. 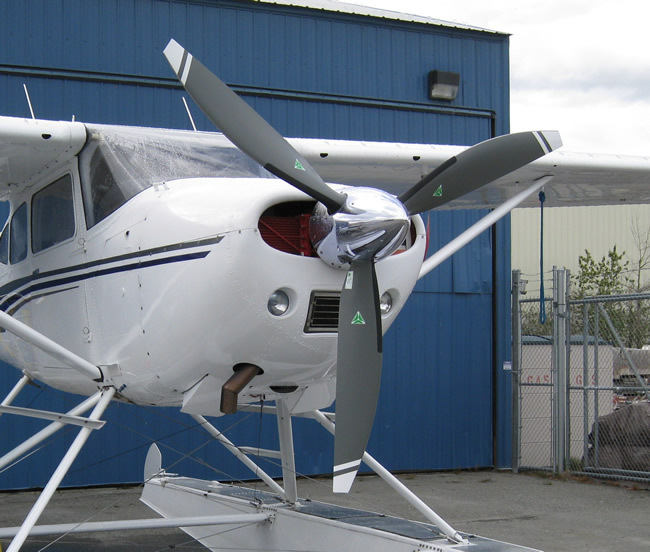 15-20 MPH additional cruise speed with the new Hartzell “Schimitar” prop. 10%-20% better rate of climb at gross Continuous 300HP without limitations. Short field take-off 10%-20% less at full gross weight.